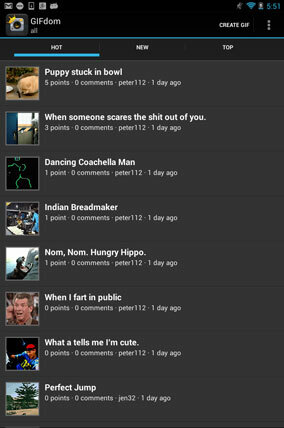 GIFdom is a community for creating, sharing, discussinhg, and discovering interesting GIFs. Use GIFdom to take a series of pictures and create a GIF. Then, share it on GIFdom and other social networks.